When Ryan Abood noticed gift basket sales at his parents’ flower store grow, even though they weren’t being promoted, he launched GourmetGiftBaskets.com. Last year his revenue was $8.7 million. This is the story of how growing up in an entrepreneurial family taught him to build a business by working long after his competitors went home for the night. And, as you’ll see, what he learned from his parents helped him to perceiver when Google cut off his access to customers at a critical time and to compete against much bigger players in the gift basket space. Ryan Abood is the founder and President of GourmetGiftBaskets.com. The company makes Corporate Gift Baskets, Wine Gift Baskets, Healthy Gift Baskets, and other gift baskets. Three messages before we get started.If you’re a tech entrepreneur don’t you have unique legal needs that the average lawyer can’t help you with? That’s why you need Scott Edward Walker of Walker Corporate Law. If you read his articles on VentureBeat, you know that he can help you with issues like raising money or issuing stock options or even deciding whether to form a corporation. Scott Edward Walker is the entrepreneur’s lawyer. See him at WalkerCorporateLaw.com. And do you remember when I interviewed Sarah Sutton Fell about how thousands of people pay for her jobsite? Look at the biggest point that she made. She said that she has a phone number on every page of her site because, and here’s the stat, 95 percent of the people who call end up buying. Most people though don’t call her, but seeing a real number increases their confidence in her and they buy. So try this. Go to Grasshopper.com and get a phone number that will make your company sound professional, add it to your site and see what happens. Grasshopper.com. And remember Patrick Buckley who I interviewed? He came up with an idea for an iPad case. He built a store to sell it and in a few months he generated about $1 million in sales. Well, the platform he used is Shopify. If you have an idea to sell anything set up your store on Shopify.com because Shopify stores are designed to increase sales. Plus Shopify makes it easy to set up a beautiful store and manage it. Shopify.com. Andrew Warner: Hey everyone. My name is Andrew Warner. 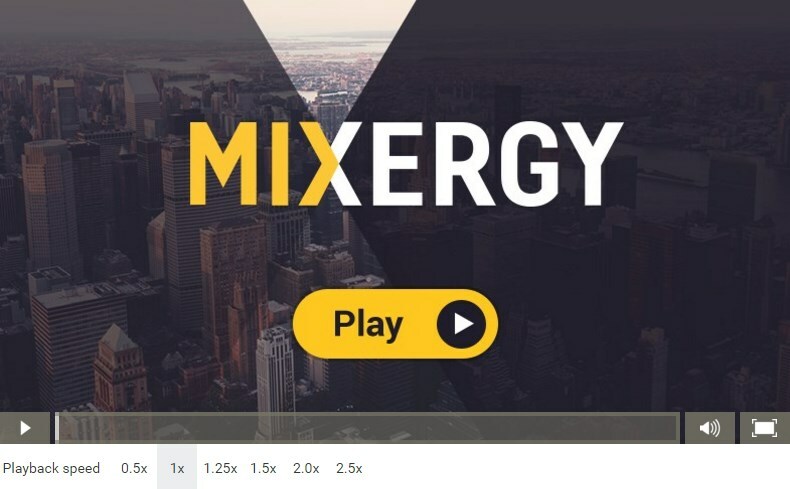 I’m the founder of Mixergy.com, home of the ambitious upstart. And as you know my goal here is to interview successful entrepreneurs and business people about how they’re growing their companies, bring back their best ideas to you so you can go out and build an incredible company and do what today’s guest is doing — an interview where you teach others how you did it. So the big question today is how do you turn a small mom and pop shop into a multi-million dollar growth business? Joining me is Ryan Abood. When he noticed that his parents’ flower shop had rising gift basket sales, he launched GourmetGiftBaskets.com. Last year his revenue was $8.7 million. Let’s find out how he did it. Ryan, welcome to Mixergy. Ryan Abood: Andrew, how are you doing? Andrew: So Ryan, I spent a little bit of time researching you this morning and the thing that kept coming up over and over and over. There are two of them. One was what happened to you when Google penalized you, and we’ll get to that later. The second thing is the Guinness Book of World Records for the largest cupcake. I’m wondering how much did it cost you to do that and get all that publicity? Ryan: Well, we originally thought it was going to be in the 30 to 35,000 range. And we certainly could have broken it for less money. But when it was all said and done, doing it right cost us a little over $60,000. It was kind of like throwing a wedding because we had a videographer, a photographer, we had live streaming videos and then produced a really high quality package in which to market our business and sell ourselves to our customers as somebody that will go the extra mile. Andrew: So the largest cupcake cost $60,000 to create. And what kind of publicity did you get for that? I didn’t realize it would cost that much. Ryan: We got pretty much worldwide front page news. It was on the homepage of AOL. It was on the homepage of MSN before it became Bing. It was picked up by NPR, “Chicago Sun Times.” I knew it went extremely viral global when some of my developers in Moscow called me and said, “Basically the CNN of Moscow, I just saw it on the five o’clock news at 5:35.” So that was the next, the following day. I knew when that happened, I knew we really had a global worldwide front page sensation for relatively pittance of what it would cost to buy that otherwise. Andrew: And do you know how much traffic and business came from that directly? Ryan: Directly? No. We have a long lead time between customer brand recognition of our goods and services and then the lead time between when they actually need to buy a gift. We’re really not in the immediate token gift business. We’re in the gift business when you want to send something a little extra special. So that’s usually sometime in the 90-day plus range but not too much longer than that. And we broke that record in August and even with a Google penalty last Christmas we still grew 7 percent last year in the worst economy in, 7 to 10 percent in the worst economy in 70 years. So to directly tie it to how many orders came in from that is really difficult to say. Andrew: That sounds like an idea that might come from a PR person. Did you get some help from PR. Well, it did, right? Ryan: Yes and no. It was really my idea. When I saw in the middle of the summertime, the current world record came across my desk in the wacky news section and it was 151 pounds. And my thought with world records is they’re supposed to be awe-inspiring. They’re supposed to be something that when you look at them sort of defy logic and reason. And I thought a 151 pound cupcake was really not spectacular. So we set out to bake a 1,000 pound cupcake and then we went to 4,000 pounds and then it was 7,000 pounds. That cupcake actually died in the oven. So we sort of regrouped after the first cupcake imploded per se and then cranked out a 1,224 pound cupcake that was in excess of ten times the previous record. Andrew: So how did you know, since it took so much effort, so much time, so much money to put together, how did you know that you were going to find that right spot in the year when there wouldn’t be too many stories competing with you? About the election, about other things. Ryan: A huge chunk of anything in business is being somewhat lucky. We knew that Detroit was the only place we could find somebody with an oven big enough to cook it in such short notice. It only took about 45 days to plan the whole record from start to finish. When we looked at Detroit we said, “Wow. There’s this perfect event that’s downtown. There’s millions of people. The media’s there already. It’s the perfect event to launch this thing.” Plus, Detroit has not seen a lot of good news lately. So we figured if we can bring this event to Detroit, they’ll pick it up and we’ll do a really good job at it. Some of it’s luck and a lot of it was good planning too. Andrew: It looks like you’re doing another world record. And I promised the audience I’m not going to stick with just the world records. I know we want to get to the business of this business. But you know what? This is a really good business tactic that you guys have used well. The fact that I saw it as often I did and that all those stories that I saw linked back to you shows how strong a business tactic this was. But you’re doing another record now. What is that? Ryan: We’re actually going to do two records in two days. It’s the world’s largest cup of coffee. We wanted to stick with an item that has ubiquitous comprehension among the entire world. The world’s largest cupcake is easy. It’s tangible. It’s something that everybody understands. The world’s largest cup of coffee, coffee is the world’s most popular beverage by a mile. So by shattering the existing record of 900 gallons, we figured where do we go? 1200 gallons? 1500 gallons? And we’re going to be somewhere in excess of 2,000 gallons. Not that this is a boring element, but when we got our Google penalty a large chunk of breaking this world record was planting a flag; letting Google know, “Hey look. We’re a prominent brand.” Eric Schmidt clearly states multiple times, “Prominent brands deserve prominent placement in our search engines.” And after we got our Google penalty we said, “What can we do to re-establish our prominence in the marketplace with Google.” We’re one of the largest gift basket companies in the country growing much faster than our competitors are. How do we prove that we’re worthy of this top place ranking? And that was sort of the original foundation of the cupcake was really for us to plant our flag and say, “Look. We’re here. We’re not going anywhere. And no, we will not allow you to continually penalize us.” Because some people have never survived Google penalties. They just sort of go the way of the wind of the dust. And for us that was really the first major step to making sure that we weren’t going to be denied. Andrew: I’m going to get to that part, how you lost 80 percent of your business because Google penalized you. I want to explain why you lost that much. I want to explain why Google penalized you? But let’s save that for the end. We’ll tease it a little bit here, and let’s go back and understand who you are as a businessman and what this company is. First of all, I read and I said in my intro that your parents had a small flower shop while you were growing up. Tell me about that. Ryan: My parents are retail florists by trade, and we have a huge flower shop for the fact of what it is. We’re a local, regional powerhouse. We’re a household brand in New Hampshire. We’re the number one retail florist in New Hampshire by a mile, and we’re probably number two in New England. In order to find a bigger shop, you have to go to Boston. And that’s strictly ten, 12, 15 times the market size. So my parents really instilled in me make sure your work for yourself, create value. And the problem with Chalifour’s, it’s a $2 million company. The company’s name is Chalifour’s Flowers, but it’s constrained by geography. I mean some really smart people have put an awful lot of money into franchising the flower business, and no one’s ever really met with success in that space. So we figured if we’re going to stick in the flower and gift business, we absolutely better find a way to no longer be constrained by geography. So if could take a product we can ship via common carrier and put out it in the marketplace that way, then we would not have the chains of geography. And that was really where my GourmetGiftBaskets.com was born because my parents are really serial entrepreneurs. They owned the number one retail florist in New Hampshire. They owned the number one retail bridal shop in New Hampshire, and at one time had a limousine business. They’re constantly trying to find ways to increase value to the customer. And that strategy was never flawed. Its major flaw was that it didn’t ever have the ability to become a national player. And that’s really where we started GourmetGiftBaskets.com, so we wouldn’t make those same types of mistakes. By design, my parents were always going to be a small business. No matter how hard they worked. And they still work incredibly hard and they do very well, not that they haven’t been successful. But now that we’re five, six times the size of Chalifour’s, obviously we’re heading in the right direction especially as a family brand. And we’re still a family brand. My brother works with me, my mother still works there two days a week, and we find a way to make it work. Andrew: How involved were you as kids in the family businesses growing up? Andrew: Can you describe it? Ryan: We were absolutely involved in the business. The day you get your license . . . I was never as sick on Valentine’s Day as school thought I was. I was out delivering flowers. My parents never advocated skipping school except on Valentine’s Day, because how else do you handle a thousand deliveries? People who work in your family do a much better job at a significantly lower cost than any employee ever could. Your heart’s in it. When your heart’s in it, you’re always going to outperform what market labor would. For years I was the head presser from age 12, 13, 14, I ironed every wedding gown that ever left the Chalifour’s Bridal Shop business. And we would do 50 gowns a week at least that I would iron. So from the get-go, after I left that post and started becoming a delivery driver, my brother, he was the head ironer for three or four years. So we always joke we’ve always worked in the family business no matter what happened. Andrew: Did your parents groom you to be an entrepreneur? Or groom you to go into the business? What were they preparing you for? Ryan: I think it was very unintentional. My first business was on the playground when I was age . . . fourth grade. I got transferred from Catholic School to public school. And I realized that they sold ice cream on the playgrounds every day. The sixth graders would sell ice cream. So what I would do is I would go out there and every day there was 100 kids in line and 48 ice creams. Do the math. Somebody’s going to get disappointed. So I started buying . . . I borrowed two quarters from my dad because ice cream was a quarter and of course I wasn’t eating ice cream I was just buying ice cream to resell it. So day one, I bought two ice creams sold them for 50 cents. The next day . . . at the end of the week, a couple of weeks later, I was buying whole boxes of ice cream. So 48 units. I was then turning around and selling them to the highest bidder. I had so many quarters coming out of my pockets I said, “What are we going to do here?” So the principal called me in his office and said, “I really can’t punish you for doing what you’re doing because I think you’re on the right track. But you’re not allowed to do that anymore.” So in my family business was always a discussion around the dinner table. How are we doing? What’s going on? And I think unintentionally they groomed my brother and I to absolutely look for the opportunities everywhere they exist. Andrew: I keep hearing that in interviews with entrepreneurs who had these little businesses growing up. Some principal, some teacher would say, “You can’t do that anymore.” And if there’s no rule against it, and he seemed a little bit proud of what you were doing, what basis was there for stopping? Ryan: Well, obviously ice cream’s supposed to be 25 cents not 50 cents or 75 cents. But my point was if that’s all the ice cream they’re going to sell, they’re clearly leaving value on the table. That and let’s be honest, I was hooking up my friends. My buddies got free ice cream. We were printing money on the playground with quarters. Give away five, six ice creams, sell a bunch of ice creams for 50 to 75 cents and the world seems righted. Obviously, some people didn’t get ice cream and didn’t like it, complained and that’s how the principal found out. But there’s opportunity everywhere, you just need to learn how to look for it. Maybe that’s not necessarily the type of business I’d recommend. But clearly understanding that there’s a portion of the market being underserved, which is the majority of kids, most of which were willing to pay in excess of 25 cents, which at the time that was too low a price to begin with. It’s the basics is understanding what that looks like and then following the opportunity as long as you can. Andrew: What other businesses did you have growing up? Ryan: That was really it. We did lemonade stands where we actually made money. Most kids make two bucks. We would set up at the busy intersections in town. You name, it we did it. It was just part of what my parents instilled in me, and that’s to look for opportunities, look for underserved markets, look for a place that you feel you can create some type of sustainable, competitive advantage and go for it. And whether or not they consciously groomed me for that remains to be seen, but I like to think that while I was growing up my parents, every business they ever had was successful. My parents weren’t the type of serial entrepreneurs they had five, six, seven businesses where they finally found one that worked. My parents sold their car to buy a bankrupt business. My dad instead of delivering flowers in a truck; they sold the truck to be able to buy the business and then delivered the flowers on a bike. Failure was never an option for them. And I think that’s evidence when you look at the track record. Every business has made money. Every business has grown. At one point, we were the number one bridal shop and the number one flower shop under the same roof in the same state. Granted, New Hampshire’s a small market but it’s not like there wasn’t competition. There were 27 flower shops in the city of Manchester. Andrew: Why them? Why did they do well when there were 27 other people there who were surviving and God knows how many companies that didn’t work out for one reason or another? What was it about your parents? Ryan: It’s absolutely the extra mile for the customer. Andrew: Can you give me an example of how they did that? Ryan: Sure. Just in dealing with my day-to-day work. Call somebody at 5:02 and see what happens. In my parents’ flower shop, my dad worked till 8 o’clock for years because success was the only option. When everything’s mortgaged and everything’s on the line, those types of people will absolutely go the extra mile for you. When you called us, we were the only shop that . . . you call a shop on Valentine’s Day, good luck. Nobody’s going to answer the phone. The only people who answer the phone are the market leaders. My parents were out delivering flowers till 9 o’clock at night, 10 o’clock at night Valentine’s Day giving a, “Hey, I’m sorry this didn’t get here earlier.” But if it’s perfect when it arrives and the owner sincerely apologizes and thanks you for the order, those are the types of little things that make huge differences over time. And that’s how we run GourmetGiftBaskets.com. We take orders later than everybody else. Go ahead. Andrew: No, go ahead. Talk a little bit about the business, then I want to come back with a follow up question. I want people to hear what your business is too. Ryan: Sure. We take orders later than everybody else. We don’t hassle people when we have a customer complaint which is extremely rare. We’re less than one in a thousand we get a complaint on. It’s because we absolutely, every single time go the extra mile for our customer. And it’s something that . . . you know you’re doing a really job when you read reviews of yourself and you say, “My order was totally screwed up. Crushed by FedEx or UPS on a truck.” Or, “It was left in the sun and melted.” And they say, “But everything else was fantastic.” Those are things we can’t control. If a driver leaves a package in the sun and the chocolate melts or whatever else happens. When you are controlling everything you can control and the customer has nothing to complain about, that’s when you know you’re doing a good job. Andrew: In the movies, when a father or mother work on the holidays, especially Valentine’s Day, everyone feels disappointed. It’s almost like that person who’s working stabbed every family member in the heart with a sharpened pencil. But I looked at you at as you were telling the story of your parents working on Valentine’s Day and there was pride that’s still there. Why so much pride? Ryan: My parents came from nothing. Neither one of my parents actually have a college degree. They got married at 18 and 21, disowned by their parents for getting married so young. I mean they’re still together, obviously. Ridiculed by their family for buying a bankrupt business, paying honestly, when I look in hindsight was three times market value for a bankrupt business. Just huge risks that they took. They sold the assets of the business to afford the business. They sold the truck and decided . . . they sold their personal cars too to deliver flowers on a bike. Who delivers flowers on a bike? This isn’t the ’40s anymore. Granted it was the ’70s but still. The pride comes from not allowing failure to be an option. And I think that you see this very frequently in sole proprietorships where you walk in the door you feel it, that you’re genuinely appreciated. You’re being helped and not sold to. And I think that that’s where the pride comes from. And if you could take that and put that same soul into a national brand, you’re going to be successful. Andrew: What about this? It seems also that if the whole family’s involved, then there’s less resentment when one person’s deeply passionate about the business because it’s all of us, we’re all here, it’s not you leaving us to go and do the business. What do think of that theory? Ryan: I have my MBA from Babson and I actually studied family business almost as a minor in my MBA. If you look at family businesses, they consistently way outperform that market. And there’s a reason for that. It’s because I think family businesses have souls, and I think corporations don’t. I called somebody yesterday at two of 5 o’clock and it clearly says on their website that they’re open till five. In a family business, the phone gets answered till probably 5:30 or 6:00. In a corporation the phone gets shut off at 4:49 and everybody’s in their car and already on the highway at three minutes to five. Those are just tiny examples that over time, like I said, make huge, huge differences. If that makes sense. It’s an essence thing. Andrew: Yeah. It does make a lot. By the way, Babson. I hear about that a lot in my interviews. Before I did interviews here on Mixergy I don’t think I came across Babson even once. Now I interviewed one of the founders of Grasshopper, he went there. The founder of Digsby. There are others whose names I can’t think of right now. What is it about Babson that suddenly they’re turning out entrepreneurs? Ryan: We’ve been number one on entrepreneurship for 11, 12, 13 years depending on which publication that you want to ask. Andrew: I’m completely clueless about it. I didn’t realize. Why? Ryan: It’s infectious. It’s teaching people how to just think big and really being hyper-focused on opportunity. For me, I was already an entrepreneur. I had a $2 million business when I went full time. For me, I went to Babson to really be inspired and to learn from other entrepreneurs and to say, “Look, entrepreneurship is not hard.” Everybody thinks . . . I get interviewed frequently and people say, “How did you do this?” almost like wondrously amazed that you could start a business. Starting a business is the easiest thing in the world especially if you can find some niche value that you can do better than anybody else, then you’re going to be successful. And Babson teaches you to stay hyper-focused and train people who aren’t entrepreneurs to start to think like entrepreneurs. Andrew: Do you have an example of a professor who trained you? I’d like to see how a professor, or one of the techniques that a professor used in class to help train you. Ryan: My favourite professor . . . I have so many of them, Cohen and Spinelli and everybody else. But I think that Steven Spinelli was probably my favourite professor. His team founded Jiffy Lube, which was already a successful business, had two, four, five locations. He’d be pissed at me for not knowing the exact specifics. They took a business that was a good business and then somehow turned it into 1500, 1800, 2,000 stores. It’s just the concept of look for where the opportunity is. And the story behind Jiffy Lube, which you could hear from him anytime you want, is really truly incredible. Looking for one thing that’s being done better than everybody else and then finding a way to bring it to the masses. Andrew: Ryan, I’m going to hit you up for an introduction to him after this interview. I’d love to interview him. Andrew: So I hinted at how you came up with the idea for GourmetGiftBaskts.com in my intro. Can you describe it? Can you tell people how you found that opportunity? So I graduated, came home, started working on it, did a whole business plan around gourmet. We didn’t even know what the name of it was going to be at the time. It was just a gift basket business. We knew it was doing to be a dot com, we just didn’t know what it was going to be. And just a few months later I was talking to the owner of GourmetGiftBaskets.com forever. His name was Freddy (________). I said, “Freddy, you’ve got to sell me your domain name. You’ve got to sell me your domain name.” And finally six months later, he called me and said, “I’m ready to sell. I think you’re going to do something great with this domain. I know it’s a great name. I hate to sell it. People will probably be furious with me for selling it to you, but I believe in you.” He was sort of the first guy to give us what I believe is the number two domain in our space and said, “Here. Do something wonderful with it.” So we acquired the domain name and then shortly thereafter launched GourmetGiftBaskets.com with about $50,000 worth of inventory. We did $5,000 in sales the first year. Pretty discouraging, I gotta tell ya. Andrew: All right. Now you’ve given me a lot of information here. I want to come back to the $5,000 and find out why. But I’m curious why this domain? Why GourmetGiftBaskets.com first of all? Why was that so important? Ryan: If you look at strong domain names have always been hugely successful even in the early days. Like mortgage.com got 600 million in trading. Supplies.com. Just throwing out examples in the Internet days, in the late 90’s, so much emphasis was being put on domain name strength. Well, the same thing held true after the dot com boom. just prices have crashed to a more realistic level. Domain names weren’t worth billions of dollars or tens of millions of dollars anymore. They were a reasonable amount of money that people could scrape together. So GourmetGiftBaskets.com was just the niche we wanted to be in. There was already established players in our space in the $200 million to $500 million range. If we’re going to compete with them, we better not compete head-to-head. We better find some portion of the market that we can do better than they do and start there. Andrew: What about gourmet not being not spelled phonetically? You don’t spell it phonetically. Is there danger there that people aren’t going to know how to spell it, that they’re going to type a lot of typos? Ryan: Not at all. We own the variations of our name for the most part. We’re going to litigate on a few soon. Some domain investors bought some of our variations over time that they refuse to sell to us for reasonable amounts of money, and now it’s pretty clear we’re a damned near household brand in our space at least. But, no. The search engines help you out too. So much traffic now, and it’s always been that way, starts at a search engine even if they know the site they’re going to they still type “gourmet gift baskets,” hit enter and click, because the search engine will sort of hold your hand and make sure that if you’re typing something wrong you’ll have an issue. So no, customers will find you. Especially some of the people who have variations of our name, it’s pretty clear when you look at our site versus their site that you’re not on the right site. You have to give the customer some type of credit. Andrew: And for the six months while you were trying to get this domain name, what did you do? Ryan: This is 2002, so there was still quite a bit of real estate available. We put all the names in a spreadsheet, ranked them, strengths and weaknesses, and it just so happened to be that GourmetGiftBaskets.com was available. It wasn’t originally but we were able to make it available, and then that was a pretty easy no-brainer. That was the one we were dead set on. There were some shorter ones that weren’t as good and they’re still not businesses today. Andrew: What else did you do to help launch? Did you build a site? Did you prepare the inventory? Ryan: 1995 is when Chalifours.com launched. We were one of the first retail flower sites on the planet. My mother was very progressive with technology. She really pushed it on us. I got attacked by a dog. I have a scar on my arm. She made me buy an Apple with the money. I had an Apple 2Gs, the old five and a quarter drives and everything like that. And after that computer was obsolete, she would drop us off at the Y, because they had computers, to make sure that we were not going to be technology invalids like our father. Andrew: So let’s get to the $5,000. You get $50,000 worth of inventory, you’re all prepared to make sales, and the first year you’re only getting $5,000. Why? Ryan: Correct. Visibility. You couldn’t find us anywhere. We had no Google ranking at all. We had beautiful products or what we thought at the time were beautiful products. People just couldn’t find us. If they can’t find you, they can’t buy from you. Andrew: What did you have in mind for marketing? I know that Babson probably hammered that in. Did you have any ideas on how you’re going to get customers in? Ryan: Yeah. I went to Babson in 2005 to 2007. I launched in 2001. I’m not going to lie. We just thought we’d put a site up and start seeing some traffic and sales based on a direct type in traffic which, yes will happen, but you’re not going to have a business based off of that. We definitely saw sales. One to two sales a day, whatever the number was. Not sufficient to have a business by any means. What we did in that case was we really started hyper-focusing on visibility. So from ’01, basically ’02 to ’03, we went from 5,000 to 25,000 in sales. Why? We started to rank well on one keyword and that was ‘gourmetgiftbaskets’ because it was our name, and we know Google and MSN and Yahoo give strong domain bonuses to relevance based off of domain strength. So we got on the first page, then we got on the top five, then we got on the top three, and then just on that one term we probably went from 5,000 to 25,000 and then from 25,000 to 75,000. So we kept tripling every year the first couple of years, which isn’t hard to do because the numbers are so small. But at least you could start to see traction. And then we started to add other types of keywords. Different categories that we would manufacture like “snack gift baskets” or “chocolate gift baskets” or “fruit gift baskets.” These are types of terms that are attainable. They’re not as competitive as the core terms. So we were just hyper focused on getting visitors into our website mainly through paid search, organic source because we didn’t have any marketing budget. There was no AdWords money. At the time our site didn’t convert well enough to support AdWords advertising. Therefore, how could we spend money on something that we lose money on? Does that make sense? Andrew: It does. It also makes me wonder why wouldn’t you spend time fixing the conversion rate, improving your understanding of AdWords and other marketing techniques. Ryan: We didn’t know we had a conversion problem until about year three. That was when we said, “Okay. We’re ranking really well for our core terms, and why aren’t customers buying?” We were very irritated, confused, sad, mad. I mean you name the emotion that you could feel. Irritated. I’ll say that one again. So after we started to get traffic, then the entire focus of our business switched to, “What are we doing wrong? Why aren’t our 2,000, 1,500, 800 visitors that we get every day why are they not buying from us?” And then year three and four and early year five, we’re really hyper-focused on what are we doing wrong. Well in hindsight, everything. We’re doing everything wrong. Then, after that, it was logos, then it was site design, then it was check-out flow. I mean, the list just goes on and on and on and on. And the lessons we learned are largely learned for anyone starting a business today. Andrew: There are so many different options, you just listed a whole lot. I can understand if somebody has a business online right now that they want to grow the way you did. They’re maybe making a mental checklist of all the things that you improved, and saying to themselves, “Where do I even get started?” How did you know which of these different options, which of these levers, to adjust? Ryan: You just ask. Just pick up the phone and talking . . .
Ryan: . . . to your customers is huge. Andrew: By asking current customers, you can’t find out that there’s some people who are turned off by the pictures you took and never bought, there’s some people who didn’t like the logo, or didn’t think the site made the business look credible. How did you do it? How’d you talk to potential customers? Andrew: Do you remember one thing from those calls that you made? By the way, that’s incredible that you would call so many customers back for years. I was wondering what you did in those hours that you worked, because I heard that you worked long hours. Andrew: You’re building your own business, you’re the founder, you’re the CEO, you’re the man in charge in the big seat, you come from a family of successful business people. Now you’ve got to call up individual, I mean, you wouldn’t take a call from a strange supplier unless you had a sense of who he was or other people. You’re now making phone calls. That takes a little bit of, I don’t know, humility. Where’d that come from? Ryan: That’s the small business in me, that’s my roots. And by no means do I intend on staying a small business. I have a firewall, good luck to get a hold of me right now, I can tell you that much. I really had two jobs. One was learning from customers during the day and, at night was trying to find ways, with no money, to fix what customers were saying. Andrew: Entrepreneurs are successful people of all kinds. When they do really well, they often will say, “It’s because I came from nothing, I had nothing, I had to fight to get something, people who have even a little bit don’t know what it’s like to be me and don’t have my kind of fight.” I’ve heard that and, you know what, it’s true for them. But I’m also seeing the opposite and wondering, where did your drive come from then? Ryan: You know, it’s “Rocky 3”. Why did Clubber Lang beat Rocky? ‘Cuz he was starving, and there is something . . .
Andrew: You weren’t starving. You didn’t come from nothing, you wouldn’t have gone hungry. So, where did it come from, then? Why? Ryan: It doesn’t have to be money. It could just be success. I’m just not somebody who’s going to fail. Period. Ryan: If I’m doing something wrong, I will fix it. Just tell me what it is, in business. And that is just the foundation of our company. Andrew: For me, partly we’ve talked about it here. It was because I wanted money and I wanted all the things money could buy, but also because I couldn’t get a date. I couldn’t get any girl to even be interested in me, and I figured, if I had money, I could make all the stars align so that they would come out and date me. Ryan: I’m sure some people, being honest with you, would tell you those types of things. For me, personally? It was, I was not going to fail. And, for me, success isn’t necessarily about money. Sure I like my nice stuff, I have a nice car. I’m building a nice house, that’s all great. For me, success is competition. It’s beating companies that have a hundred times our resources, at their own game. That’s it for me. I used to love to play chess. I don’t have time to play anymore. But when I do something, if I’m going to do it, I’m going to be very good at it. That’s why I don’t play golf. I don’t have the patience for it, And if I did, it would mean I would have to give up a lot of other things in life, So, for me, it’s a personality trait. And, like I said, that’s why I fish. I do not play golf. I wish I played golf, and, if I did play golf, a bunch of other things would have to suffer. I’d have to give up some friends, or I’d have to definitely stop fishing, or I’d have to work a little less. Because, if I’m going to be a golfer, I’m going to have be damn near scratch or I’m not going to play. It’s a personality trait more than anything. And for me, like I said, it’s absolutely smoking companies that have 100 times our resources at their own game, all day long, every day. Andrew: All right. So we found out about how Google was starting to send you traffic. I’m wondering what percentage of your sales was coming from Google? Ryan: In the early days, damn near 100 percent. I have this metric in my head, of when less than 20 percent of our business comes from Google, I’ll be able to really sleep well at night. Now, we love Google. We exist because of Google, and we’ve made a living on making sure that yes, we’re a really good gift basket company, and we’re the best gift basket company on the planet in my opinion, but that also that Google loves us. That we consistently deliver on their expectations for their users. And that’s something we’ve never wavered on. And when you think about it, in the early days we were 100 percent. And then as we started to rank well on MSN and now Bing, and Yahoo, the number would continually go down. Then our business model changes. Now the conversion rate is up, now we can pay per click, so we can drive business from a search engine that we pay for, that we’re not sort of just sitting around hoping comes, because of all the search engine optimization tactics. Andrew: And the large part of this new direction is because of the penalty you suffered? Andrew: I think most people in the audience have heard about this because man, this was such a powerful story that the “Inc.” ran on you and other people picked up. But for those who didn’t, what happened? What was the penalty, what was it like? Can you describe it? Ryan: Yeah, absolutely. Basically, what happened was we largely do SEO in-house. For the most part, on-page optimization was generally run by my desk and at least one other person’s desk here, and we were hiring two independent SEO companies at the time to work on link building for us, classic link exchanges, just blind cold emails. “Can you please link to my client,” type of links. Well one of our clients was buying links, and Google caught on and was wondering where a lot of that money was going. But Google caught on to what we were doing, and dropped the hammer on us, and it was pretty brutal. At that time, 80 percent of our organic search traffic was from Google. Dollars-wise, not necessarily search volume wise. And we pretty much vanished for most of the fourth quarter, and it was about the most painful thing you could ever have happen. Andrew: In your business, what percentage of sales come from the fourth quarter? Ryan: We do 50 percent of revenues in 20 days. Ryan: That is the gift basket business. Andrew: 50 percent of revenue in 20 days? Ryan: It’s awful, yep. 50 percent in 20 days. And we’re actually good. When you look at our competitors, some of their last financial statements are in excess of 60 to 70 percent of sales come in 20 days. So, we’re diversified. We’re probably on a little bit lower end, 45, 46 percent of sales come in 20 days. And it’s not even December, it’s 20 days in December. It’s not a great business in that perspective. Andrew: That’s a tough one. That’s a tough business to be in, especially Google penalizes you, and their penalty covers those 20 days, as I understand it? Andrew: So how much money did you lose as a result of that? Ryan: We lost at least $2 million in sales that year, and then another $2 million for the duration of the penalty, which we’re calculating as sometime between the end of last summer and the update of about three to six months ago. So, the penalty duration was 12 to 18 months. Andrew: How’d you get back in? Ryan: We survived, number one, because we’ve been diversifying. In 2007, it started to really occur to me, we were way too dependent on Google. Not that we don’t want the business from Google, we just better find some other reliable places for leads to our business, which is of course the natural progression of growth in the first place. But it was scaring me to see 80+ percent of our business on Google alone, a combination of paid search panic, organic, and otherwise. So we launched an affiliate program. We did all the things you’re supposed to do. We launched an affiliate program. We started selling some of our products in some other marketplaces. The year 2007 and early 2008, was “How do we get off of our addiction to Google?” or “How do we at least mitigate, if we ever were to get a penalty?” So, when the penalty happened, because you had seen it happen with several competitors. It’s been a while since I’ve seen it, but you read about these Google horror stories. Somebody just one day falls off the face of the planet in Google search results, never to be heard from again, like a hanging out with Jimmy Hoffa type of deal. Andrew: I did an interview with a kid who had that happen to him. He calls himself Andrew Fashion. Anyone who Googles him will see what happened to him. His whole business went away, and he went from having, I think it was $1 million in profit, to suddenly being in debt because he just couldn’t dig his way out of it. Ryan: And we were somewhat prepared for it, only because it was the right thing to do from a business perspective in the first place. And when it happened, I was obviously clearly devastated. Instead of rolling over and dying, we said, “We’re a big enough to bring it to fix this. We don’t really deserve this penalty.” When you look at the link buying in our space, it’s disgusting. I mean, we’re not the only ones buying links here. It’s something that nobody really wants to talk about, but when you look at the first page of Google, the amount of link buying that’s going on in the flower space and the gift basket space is absurd. Somebody needs to do something. We thought we were more than fine in the process of trying to recover without ever having to buy links again, even though there’s so much link buying going on. So we’ve gone the route of no link buying for any reason no matter what, while we watch a bunch of other people continue to buy links, and arguably outrank us or rank way too near to us for somebody that is doing something that is so clearly black hat and against Google quality guidelines. Andrew: I know it, because my guess is that I’m going to get a message from somebody after this interview, from one of your competitors saying, “Can we buy a link on your site? We noticed that you covered this space, the flower and gift basket space. Can we buy it?” And it’s semi-automated, and it happens a lot to me after an interview. I wonder if this, if calling attention to it here, will mean that I won’t get it. But ordinarily I will get something like that, for an interview like this. Ryan: Oh, no doubt about it. If that’s what they have to do to compete, fine. Andrew: You know what, as a user, I don’t want to . . . as a publisher, I don’t want to bother. I don’t want to get those emails. But as an interviewer, I’m fascinated. As the guy who loves business, I’d love to come on here and interview them, and talk about what they’re doing. But anyway, that’s neither here nor there. You’re telling me, you had the infrastructure in place, because you were already paranoid. But you weren’t beefing it up, and using it to its full potential because there wasn’t enough pressure on you. Am I understanding that right? Ryan: I couldn’t have said it better myself. A lot of those programs were in their nascent stages. So when that penalty hit, it was pedal to the metal in terms of finding what, in the social media space, in the marketplace’s space, and in the affiliate marketing space. Now none of those things are going to be things that triple our business, but they’ll certainly help make us less vulnerable to major Google penalties in the future. Ryan: Right, that’s my line. My staff still makes fun of me for that. Andrew: Actually it was a really good line. It added personality to the story. I like “Inc.” magazine stories because they include colorful language like that. It gets me more interested in the entrepreneur. But you had to figure out pay-per-click essentially on the fly, in that period? Ryan: No at that time, we had a very mature pay-per-click program. Ryan: We were in 2008, and we really started heavy duty pay-per-click in 2005. That was the tipping year, 2004, where we were really able to have a high enough conversion rate to support page search. So, if we have $2 million of product sitting in a warehouse, and it goes bad if we don’t sell it; the lesser of two evils is to smile at Google while they kick you, and to make sure that they deliver the quality relevant results they’re notorious for, and then we sell our product to our customers. They had to pay a lot more to find us, but they found us, thankfully. Andrew: You know what? It’s kind of interesting because they now have an incentive to penalize companies like yours, because you’re going to end up buying from them. If they didn’t penalize you, they wouldn’t have earned the extra money that you ended up spending with them. Ryan: Good point. Good point. But, you know, I don’t think Google’s a very vindictive company. Andrew: I don’t think so either, but, and I’m not accusing them of anything. But I’m saying that there’s a disincentive to work it out with you, and give you a quick resolution. Andrew: What were those nights like? Ryan: Oh, man. I don’t even think I slept at night. You know. It’s just too much money. It’s just, to be so reliant on a search game, and to have done it so well. I mean we really ranked so well when we got penalized. After a little while, you really start to rely on that business. And when the business gets pulled right out like a rug right out from underneath your feet, it’s pretty shocking, you know. It’s really shocking. Andrew: How did you get yourself to function in that situation? When you get a little bit of shock, it fires you up, maybe to fight back; a lot, maybe fight back a lot more. But when it’s this severe, sometimes it’s immobilizing. Why didn’t it immobilize you? Ryan: You know, to say that I was angry is an understatement. And as the dust started to settle, and I really started to understand what had happened, I mean I think that, when I found out, I was pissed off at the guys who were buying links for us. But more importantly, when I found out how many links were bought, there were like about 400 links — in the neighborhood of. I saw competitors buy 40,000 links that quarter, like 40,000 links, and not get penalized. Andrew: How do you know they were buying them? Ryan: Well, it’s one of those things. When you start to learn to look at a back link profile, and you start to look through the sites, it’s so evident when a link is earned, or a link is paid. Andrew: What do you see? What are some of the indicators? Ryan: Oh man. You see they’re home page links; they’re not in articles; they’re in banks of other links: you know, ‘gift baskets, fake nails, deliver flowers today.’ You would see them in banks of keyword text. You see them across the bottom of a page, with lots of unrelated types of links. They’re so paid, and when you start to look through somebody’s link profile, and you see paid links, they stick out like sore thumbs. And there’s no hiding it. You can’t get really hide Google links to your site. There’s too many tools out there that give really good inbound link profile information. Andrew: So what percentage of your business now is due to organic search? Ryan: We’re back rock and rolling in Google. You know thankfully. We’re not buying links. We’re building links the old fashioned way, the same way that Google says to build links, which is: give people compelling reasons to link to your site. Andrew: But it’s still the majority of the traffic, no? Andrew: The customers? No. So you went from having the majority of your customers come from Google organic search, to a minority? Ryan: Absolutely. And it’s still our largest share of free traffic, if there is such a thing. Absolutely. I mean Google has significantly more traffic, at least in our space, than MSN and Yahoo combined, by a mile–or being combined by a mile. So I would say 70 to 80 percent of organic search traffic comes from Google in our line of work. We’ve been really working hard to where the focus of the last, since 2007, is where do we grow outside of a search engine, out of the three major search engines? Not that, that’s spiteful to them at all, it’s reverence to them. It’s like saying, “Hey look, we love that you love us. We will do everything in our power, within reason, to make sure that you still love us and send us traffic. But we’re not going to, that’s not the only horse we’re going to have in this race. Now, of course, everybody would say to me, “Well why didn’t you all of these things earlier?” Well, there was no money earlier. We didn’t make any money. We had no resources to do anything. So, the only thing we had to do was rank one in organic search. We’re really going backwards, where the giants are all starting to figure out now how to rank well in organic search, we’re starting to figure out how to make, mailing out a million catalogs this year profitable. So it’s really funny to see the two types of industries working in opposite. Andrew: So you’re going to send out catalogs. You’re going to go from digital to paper? Ryan: Oh yeah, we’ve had a catalog for five or six years, and we don’t cold mail, we only warm mail. So, we still sent out a whole ton of mail, and the catalog still works. It works if you put it in the perfect person’s hand at the perfect time of the year and we know our competitors are some of the biggest mailers on the planet. So you better have a book in the hands of a decision maker when they put the two books down and somebody points to a company, which is how a lot of gift basket decisions are made, you better have a horse in that race or you’re not going to win. Andrew: Why is there such a big margin, gross margin, on gift baskets? Ryan: There really isn’t. Some of our competitors have huge margins. Ryan: This is our, I’m not going to name names, but 70 percent is not uncommon. Just because, a) they spend a tremendous amount of money on marketing. 30, 32, 33, 34 percent of sales on marketing is not uncommon . . .
Andrew: But that doesn’t influence their gross margins. Why such high margins on products? Is it that they’re taking these cheap products and then bundling them together and putting a nice package around it so they can charge more? Ryan: You just basically quoted me 500 other times. I mean, I’m a firm believer that the vast majority of the gift baskets that we go up against are garbage. I would tell that right to the manufacturer’s face. We are, in the business, we’re in the direct to consumer business, so we’re sourcing products directly from reputable manufacturers, we’re not changing the face of the packaging, we’re not creating custom labels, shaving ounces out of the packages. I mean, if something is five ounces and you make it a two ounce and the box looks the same size, that’s pretty deceptive the last time I checked. The gift industry’s littered with bait-and-switch and different types of marketing strategies, smoke and mirrors as we call it too. Andrew: So if I look online and I see a gift basket that includes, I don’t know, Cracker Jacks, I’m just going to make up a product, and I see the same size that I’m used to seeing in the store, in the basket. I assume that it’s going be the same thing that I see in the store and I’ve been buying with my friends for years. It’s possible that a package like that might have half of the Cracker Jacks box filled . . .
Andrew: . . . and the other half empty. Ryan: That’s a five ounce box, you know, that’s a three ounce box, and to the forward face to the customer, it’s the same product. Andrew: I see, OK. I see, and you’re saying that it’s not just the empty space in there, sometimes they shrink, they make it thinner, the box . . .
Ryan: Oh yeah, so . . .
Andrew: It looks it has the same size face. Ryan: It looks like the same size, but it’s actually noticeably thinner, so when you turn it sideways, you know, it’s just the bait-and-switch. It’s just not having the consumer’s best interest in mind. I mean, our favourite customer, is somebody who gets a competitor’s gift basket. You know, they say, “Is this what I have been sending, Oh, my, God. I’m so embarrassed.” And then they find us, and they start to pay attention and recognize these things, and then we have a life long customer. It’s a slow process. Our competitors are sending multiple times our size, and then there’s the whole drop ship monster portion of our industry too. Then there’s the other flip side of it, where there’s somebody, you know, sadly, let me go and search for Google right now, on my computer here . . . So right now today, we’ve got one, two, three, four, four of the top ten companies don’t make gift baskets. Something seems wrong there to me. Especially when, everyone of these drop shippers is passing it off as if they were the originator and creator of this product. Well, what’s happening is these people are create these wholesale gift baskets. They have these marketing companies, with snazzy domain names, sitting out there to sell the product for them. And in reality, there’s two people making a 40 percent margin. So . . .
Andrew I could get into the gift basket business, tomorrow. I can’t code up a website, but I can go to Shopify.com and get the store built for me by them. I can’t create a gift basket, but I can go to a drop shipper, I think, hook up even with Shopify, or I interviewed a guy who was a drop shipper, he has gift baskets, I can have him send them out for me and, voila, I’m in the gift basket business competing with you. You’re creating all of your gift baskets in-house. You’re a mom and pop, where there’s somebody at the other end of the phone. I’m just a guy who maybe has some Google rank for a few days or a couple of techniques. We are competing with each other. You have to educate the customer to say Andrew is just an empty business. He’s just in it as one of 50 billion businesses that he might be cranking out. I am a real company, I have real people here and I’m going to create a product that you’re, not that you’re going to know what it looks like, but you’re recipients going to be proud to get it. How do you educate the customer about all of that? Andrew: What about this? I noticed early on in this interview that you’ve got big ambitions. You don’t want to have the small business, you said earlier. How do you make this into a giant? How do you make GourmetGiftBaskets.com into a giant? Ryan: You create compelling products that people want to buy. Andrew: How big can the gift basket business be? Ryan: We have competitors in the two to five hundred million and beyond space, so it’s certainly possible. That’s huge. Last time I checked . . .
Andrew: Two to five hundred million in sales? Or, value in company? Ryan: Yeah, two hundred, this is in sales. And it’s pretty much known that gift basket companies, roughly, gift companies sell in the 80 percent of revenue space to keep numbers round, which of course is 7 to 10 EBITDA. But 80 percent of revenues, if you have a $10 million business, it’s worth about 8 in terms of sales in the market. We’re not looking to sell. We’re looking to be the breath of fresh air in our industry, for the future. If you look at our site, I’m looking at it now, you can’t find these products anywhere. And it’s clear that somebody with some soul designed them. We’re not . . .
Andrew: Let’s give two examples. I don’t want to sell the gift baskets here, and you don’t either. But you know what’s good? I want people to understand your business well. And frankly, actually, if they’re going to buy a gift basket, I’d much rather they bought it from someone who I interviewed here, who they got to know for an hour. Andrew: So, top 20 days are going to come up in a short time here at the end of the year. Can you give us one or two baskets that people can go and check out over Christmas, if they want to give one out? Ryan: Sure. A lot of our strategy, I mean Christmas in particular, but one quick thing on segmental strategy. Our strategy here is to be an expert in as many different gourmet categories as we can be. For example, let me take a niche category like golf. I know we rank number one for golf gift baskets on pretty much all three major search engines, but when you click and you arrive at our site, we have our “Hole in One” golf gift basket. There’s several knock-offs of this product. We pretty much invented this thing. We have our own, new bag coming, as our source size has gotten bigger, we’ve been able to source more directly. And that product is just, at that price, an incredibly good value. When you look at the “Hitting the Range” gift basket, we typically like to take a category, like golf, and make at least two or three products in each segment, for different price points. “Hitting the Range” is, for 50 bucks, a great gift. It comes in a wire golf thing. It used to have practice tees, which we’re trying to get back in there. It comes with beef jerky, snacks for the course. I mean, you can see that it’s authentically made with love. You really can. The same thing when you click on our Christmas section. We have cool things. Nobody has a sleigh out there. Now do we sell two million sleighs? No. Do we sell two million holiday crates? No. But there’s always product-level innovation everywhere. Doesn’t have to be on every single product. But like, in our Christmas section, every year you can expect to have, at least, two or three specials you’ve never seen before. When you look at our competitors, I’ve been seeing the same gifts for 12, 15, 20 and in some cases 70 years. There’s been no change. It’s like they found one little thing that worked, and then ran with it. To me, I believe it’s run its course. The customers are dying, screaming for something different. And that’s something we learned in the flower space. Every holiday have something they haven’t seen before. Have something that they never experienced, or that they can come to our site every time and send a gift that’s unique. And we have 55 categories. If you can’t find a product to send, a different gift basket, every time you send one, on our site, something’s severely wrong. Andrew: All right. Let’s end it actually on a high note about business. What about this, cars? Looking for some big reward for all this work that you did. You told me that you love cars, that you got a car. Is there a car affection there that I’m picking up on? Ryan: No, I’m a fisherman. I basically use all my disposable income to chase tuna fish on Cape Cod. Andrew: Chase tuna fish? What’s the thing about tuna fish? Ryan: You know, my earliest memories of really, truly being ecstatically happy, were when I could ride along on my dad’s friend’s lobster boat. Sounds stupid and vain. And we would always go fishing. I was maybe five, and I have this picture of me holding this pollack and it’s like the size of my head, because I’m four, you know? And I’m just beaming ear to ear. And I guess fishing brings me back, a little bit, to that place. The difference now is that we fly to Guatemala to go sail fishing, or we go to Dominican Republic to go marlin fishing, or we fish on my own boat, east of Chatham, Massachusetts and catch tuna fish. That look, and everybody has a look, or picture of theirs, or something when they were a kid, where they’re just beaming. That’s what fishing does for me, every time I get to go. And when you hook up with a tuna fish, and pull it on board, see how gorgeous it is, tag it, measure it, you know, write all the specs down, there’s just something magical and simple about that, that really drives me to work. One day if I could go fishing every day, I’d probably be a pretty happy guy. Andrew: All right. Well, I hope between then and now, we’ll get to do more interviews here. It’s great talking to you and meeting you. Andrew: The site is GourmetGiftBaskets.com. Ryan, thanks for doing the interview. Ryan: Sure. And thank you so very much. Andrew: Cool. And guys, thank you for watching. I, unlike Ryan, cannot call every one of you and find out what you think of this interview or what you thought I should have done, but I still want to hear from you. So come back to Mixergy. My contact information’s right there on every single page. Give me your feedback, even if it’s negative. In fact, especially, Ryan, don’t you prefer people to tell you what’s wrong, so you can fix it? Ryan: Oh yeah. There’s absolutely no, I mean, yeah, it’s great to get your horn tooted, but in reality, it’s so much better to get honest feedback than anything else. It’s like, you know what, you sucked, and this is why. And then you can actually go and take steps to try to fix it, remedy it, improve it, and make it better. I mean, positive feedback is my least desired type of feedback. Andrew: All right. Well, do that for me. Don’t hold back. Give me whatever feedback you guys have. Ryan, thank you again. Ryan: OK. Thank you very much.